The soothsayer’s tarot wove a tale of a grim future, hard to put out of your mind. 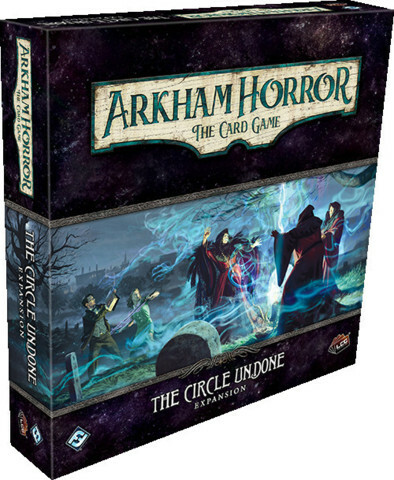 But when you learn that four people have disappeared without a trace from an estate in French Hill, you begin to wonder if this cruel fate is meant only for you, or for the entirety of Arkham… The Circle Undone is the fourth deluxe expansion for Arkham Horror: The Card Game. 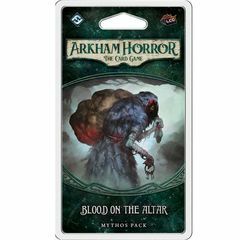 Here, your team of investigators delve into the mysteries of Arkham’s past, uncovering its macabre history and the motives of those who dwell in its shadows. 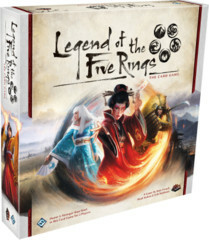 This expansion contains a playable prologue, first two scenarios of The Circle Undone campaign, as well as new investigator and player cards to further customize your investigations in the world of H. P. Lovecraft’s Mythos.